Without a doubt, it’s good to have friends and a network. I’m tickled to be part of the newly formed Central Florida Chapter of Travel Blog Exchange (TBEX) and hope to learn and kick this blog up a few notches. Kudos to Ben Reed (Adventures with Ben) for forming the chapter and taking the lead not only for travel blogging in Central Florida but the whole Sunshine State. I couldn’t attend the inaugural meeting (I was actually hosting members of the media that weekend) but Ben included me (and anyone else who couldn’t attend) in some format. Can’t wait for the first Central Florida TBEX meeting I can attend and meet these folks in person. 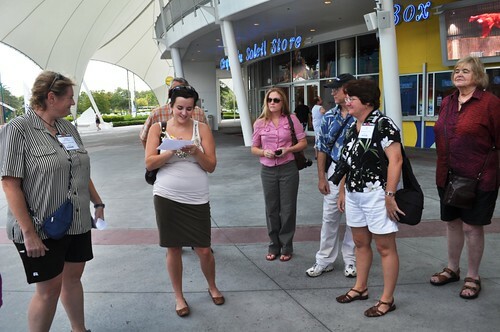 Go ahead and meet these Florida-based travel bloggers listed below. I’ve also added them to the right-hand column of this blog under “Friends of Solo Travel Girl.” Seriously, you’ll wanna hit the road and travel after reading just one.